Why is the Ice Bucket Challenge so Popular? Is the Ice Bucket Challenge something to consider for fundraising efforts for YOUR organization and/or cause? It might be a while before the Internet dries off. The past few weeks on social media have been an inescapable stream of short videos of both the famous and not so famous dumping buckets of ice water on themselves in the name of ALS research. So far the lineup includes former President George W. Bush, Bill Gates, and Lady Gaga. As of Sunday morning, the ALS Association reported $70.2 million in donations compared to $2.5 million during the same time period last year. The Ice Bucket Challenge has not only been an Internet sensation, but more importantly a fund-raising success. So what does it take for the Internet to pay attention? Unfortunately, marketers can’t always answer that question definitely. After all, ALSA didn’t even initiate the challenge. CBS News reported golfers have done similar challenges to support “pet charities” in the past. Pro golfer Chris Kennedy challenged his cousin Jeanette Senerchia, whose husband has ALS. She took the challenge, tied it to ALS, nominated some friends, and before long, William Shatner was drenched and howling in his bathroom. In the wake of a campaign like this, no doubt, other similar campaigns will crop up — do this thing for that reason and post a video — and that will inevitably weaken the potency. Rather than try and replicate the Ice Bucket Challenge, perhaps look at the parts of it that can be applied to a future original video campaign. * Creating a compelling message – The first takeaway is the importance of creating a compelling message, said Gartner analyst Jennifer Polk. It’s unlikely a brand would be able to pull off a campaign quite like this one — breakfast cereal doesn’t carry the same importance as fighting a disease does, obviously — but the broader idea is that a video campaign should elicit some type of reaction. Humor can also make a message compelling “They’ve taken a disease which is not at all funny, and they’ve taken a cause that is not at all funny, but they’ve attached it to social behavior that’s hilarious,” Polk said. * Call to action — On the topic of social behavior, each Ice Bucket Challenge includes a call to action as the person in the video nominates three more people, and gives them 24 hours to accept. It’s also a fairly clear template — explain who challenged you, dunk, challenge three more people — so people can be more creative if they want, but don’t necessarily have to be. * Technology helps – Another element that makes the task relatively simple to complete is the use of mobile phones. As more and more people have the ability to record and edit with their phones, and then upload the video within a few seconds, which helps turn the call to join into something that sounds and is feasible for potential participants. Where the videos get uploaded is also important- pick a platform that makes sense. Vine, Instagram, and Facebook are well fairly well suited for short videos that are meant to be tagged (with hashtags and the names of friends) and then shared. With regard to Facebook, Polk said one glitch for the ALSA might be that so many Facebook conversations are private. From a social listening perspective, the organization may not get a complete picture of the social conversation surrounding the campaign — something else to think about when setting up a campaign. In any case, Polk said the Ice Bucket Challenge has been a solid case study in the power of earned media. Some are debating the breadth or depth of awareness has been raised, but the attention will lay groundwork for fundraising in the future, even it’s merely working off the newly collected contact info from people (1.3 million of them) donating to the organization for the first time, she said. Erin Carson is a Staff Writer for TechRepublic. She covers the impact of social media in business and the ways technology is transforming the future of work. Suicide: Willful Action or Inevitable? 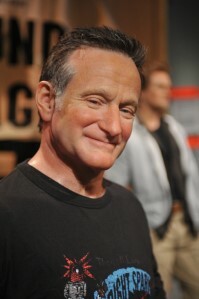 Robin Williams’ death last week has had the mental health world abuzz about suicide awareness. While I don’t remotely profess to be any sort of an expert on this issue, I have learned a great deal from work acquaintances who ARE highly knowledgeable in this area. Plus, I have suffered from depression myself… and more importantly… I have a good friend who took his life in 2008, and so it’s a topic that has touched me personally. But…. just how willful an act is suicide? …Is it a coldly premeditated “coward’s way out” as some believe?… Or is it a tragic, yet inevitable conclusion to the individual’s severe mental state? One thing I think people who haven’t experienced mental health issues don’t understand is how they’ll often lament that suicide was a selfish act the sufferer committed with little to no regard to the impact of his or her act on the survivors. That is certainly one way of looking at it. But to anyone who’s had a mental illness, it is something that you want to be over…. and when it gets to be bad enough… I believe the individual is likely to do whatever is necessary to end the mental anguish… In other words, I don’t think someone who commits suicide wants so much to KILL themselves, as they are mainly desperate for their mental torment to be OVER…. and if that means taking their life, so be it. I was very depressed and anxious during roughly a 3-year period from 1999 – 2002… but I was blessed with finally getting the help I needed… If that hadn’t happened?……. Who knows? I believe we still have a ways to go as a society to see mental despair as being as great to the person experiencing it … as is physical pain. We wouldn’t claim that someone who tore the ACL in their knee isn’t going through a lot of physical pain… So, why do so many continue to believe that the mental anguish going on in someone’s brain isn’t just as bad? But however you go about it, be sure to reach out to someone you know who is depressed. You never know whose life you might help save. 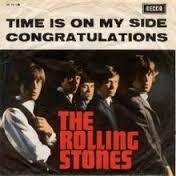 The Rolling Stones once sang, “Time is on my side” and when it comes to managing their time, executives have their favorite strategies. Thirty-five percent of chief financial officers (CFOs) interviewed said they find that working efficiently comes from taking greater advantage of technology; another 35 percent said delegating more responsibilities is the secret to maximizing work hours. Paul McDonald, senior executive director for Robert Half, said CFOs can tap technology both to help with their individual time management and to enhance organizational efficiencies. 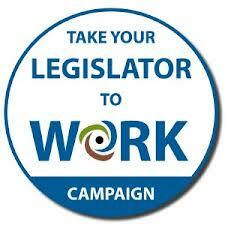 This webinar will share the development of a Take Your Legislator to Work initiative beginning in Philadelphia and spreading through the s tate. The lessons learned and successes achieved will be discussed. Takeaways from the webinar: Attendees will learn how legislator visits can make a difference in attitude and potentially impact local and state budget and funding decisions. Discussion about how to make the most impact through “quality” visits will be shared. The presenter, Tracy Katz, M.Ed., CESP, attended both undergraduate and graduate school at Virginia Commonwealth University. Tracy current works with Networks for Training and Development as the coordinator of business development, and she is the chair of Philadelphia Employment 1st Employer Relations Work Group.